Six months ago I found ALT and in a nutshell, they gave me permission to turn my blog into something bigger. Alone, the dream of growing my blog into a successful brand seemed frightening, but ALT lit a fire under my tail and gave me a hefty dose of go-get-em attitude. I started Damask Love as a virtual journal of my creations, but now I’ve got much bigger goals in sight…and you’ll be hard pressed to find anyone more motivated as yours truly! Now there’s a chance that Altitude Summit (aka ALT) is new to you, so I let you in on the low down. ALT is a resource for creative bloggers to expand their blog into a successful business, both online and offline. ALT offers classes, articles and conferences where bloggers and brands congregate to learn how to collaborate and connect with each other. 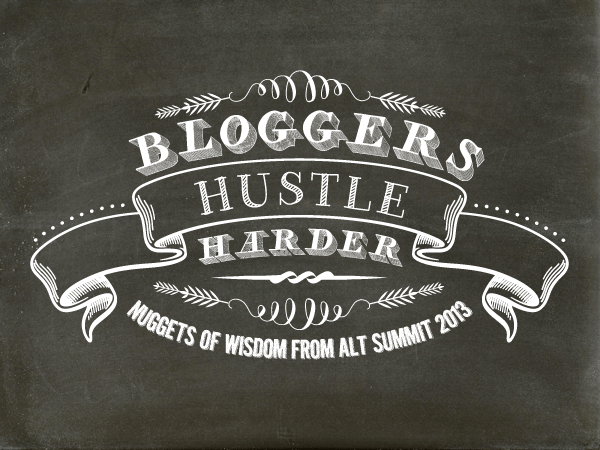 The goal for most bloggers at ALT is do the work they are passionate about, while simultaneously generating income. Here’s an example… HP might have a new product that they want to market to creatives. 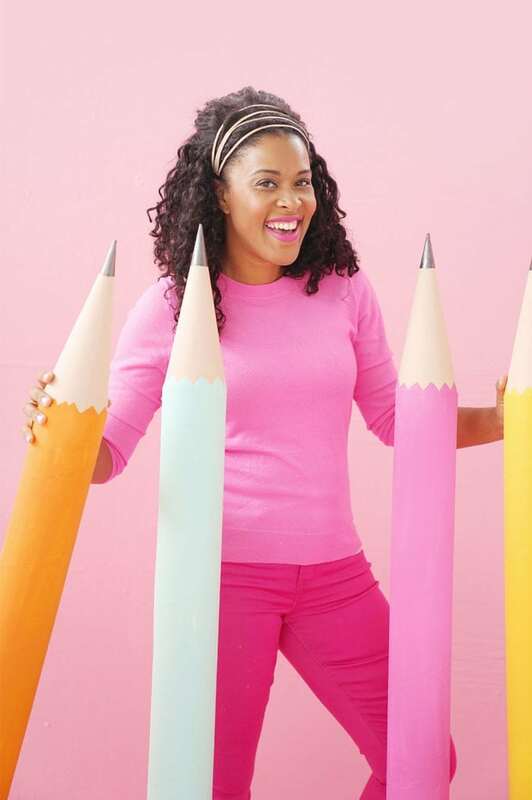 Bloggers are a great avenue for reaching creative consumers so HP might say, “Hey you, Miss Awesome Blogger lady! We want you to feature our product and share your opinion with your readers.” Now, Miss Awesome Blogger Lady might say, “Hmmmm, I’ll pass – I don’t think my readers will be very interested in learning about this product,” or Miss Awesome Blogger Lady might say, “That sounds great! My readers would love to see your product in action and how they can use it in their own creative projects!” In either scenario, HP sees value in the blogging community and wants to collaborate with bloggers in order to share their products. 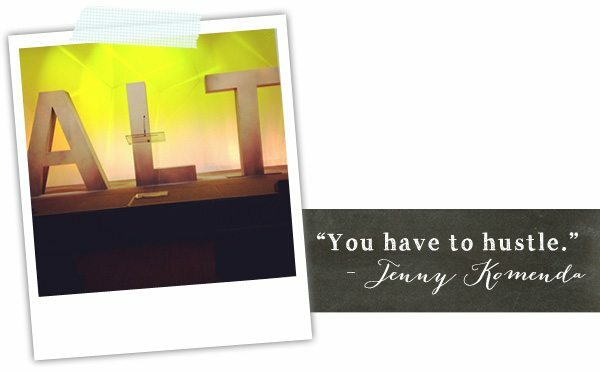 During my time at the ALT SLC conference, I soaked up all sorts of information, made connections, wore fun outfits and danced until my feet were numb…the makings of an awesome (albeit exhausting) week. Today, I’m here to share a few of the “nuggets of wisdom” that stuck with me. I’d love to hear your thoughts and reactions. You have to reach out to brands. You have to put yourself out there. You have to work. Hard. Of course, there are times when opportunities fall into your lap, but more often then not, you’ve gotta make it happen for yourself. Now, for the sake of clarity, I’ll give you an example. A few months ago, I assembled the Start Your Stash series here on Damask Love. It was a labor of love…emphasis on the word “labor!” I reached out to tons of brands and assembled a strong pitch each time. I looked for brands that worked well with my own brand identity. In each email, I included my blog stats, a clear description of my plan along with examples of my work. I’m not gonna lie – it was scary as H-E-double hockey sticks, because I didn’t know what to expect. I got plenty of “nos” but I also got a ton of “yesses” from companies who were excited to collaborate with my blog & my brand. In the end, I was able to assemble an awesome series that you guys enjoyed. It had to hustle hard to get it done – but that’s the way it goes. You have to hustle. Thank you, Jenny for putting that out there. 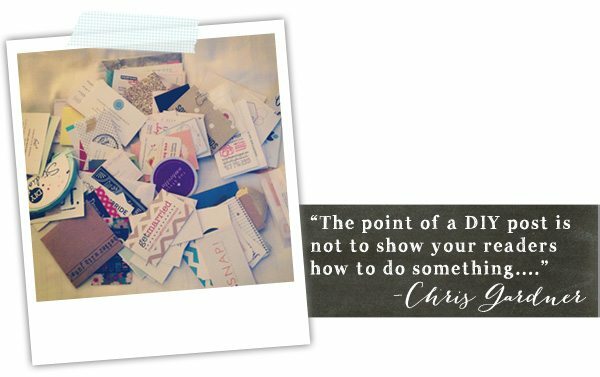 That said, I think Chris’ statement also rings true for the business side of blogging. Back to my example of the HP desktop. If you come to Damask Love and see a post where I am featuring an HP desktop, you’d better believe I am going to tell you straight up that the post is sponsored by HP. That doesn’t make the information any less important or useful, but it does make me a trustworthy blogger. Transparency, people! Tell your readers what they are reading. If it’s a sponsored post, call it that. If you received free product, say it. People don’t like to be mislead, and you can bet your sweet tuchus that if they feel mislead, they will drop you faster than third period French. **If any ALT attendees remember the source of the integrated content quote, please let me know! I didn’t have it in my notes and I would like to give credit. Ok. Breath this one in. I had a tough time believing what Helen Jane said. I’m excited to hear your thoughts. Here are my two cents. Personally, I love working with others and collaborating. I do strive to do it in an efficient way, though. For example, any projects that I create for another company or blog are extremely representative of my aesthetic and style. This way, people know what I’m about when they see it – and if they like what they see, they may just take a trip over to Damask Love to see more. Also, whenever I do a guest post, I also do a “Part Two Post” on my own blog. When I did a guest post for TomKat Studios, for example, I provided content for her to use on her blog, but then created a coordinating post on Damask Love which featured additional images, tutorials and tips. This gives TomKat readers a reason to come see me, and hopefully stay a while! For me, this strategy allows me to collaborate with other and gain exposure without diluting the quality of content that I provide on my own blog. Hold up. You mean to tell me that my blog isn’t going to blow up over night? Good to know. Blogs grow slowly and steadily. If you continue to put out high quality, original content, your blog will grow. People will find you. Your readers will share your work with others. Sometimes, magic will happen and this can also help growth. For Meg Keene, the birth of Pinterest and the publication of her book A Practical Wedding were the “magic.” In the course of a year Meg’s blog traffic spiked dramatically as readers pinned her posts and as she toured the country on a book tour. Realistically, though we cannot all be authors to a bestseller, but we can work toward making magic happen, right? For me, Meg’s story taught me the importance of working online as well as offline to build my blog and my brand. Whether it be a book , speaking engagements, teaching classes, or magazine publication, I believe in my ability to make magic happen…even if it’s itty bitty magic! In the end, it will benefit my brand and grow by blog. …it’s to show your readers that it’s possible to do something. Don’t you just love that!? Don’t get me wrong, nothing makes me happier than seeing a reader make one of the projects she’s seen on Damask Love. There is nothing better than that. But it would be totally unrealistic for me to expect that each project on my blog is replicated by a reader. It is reasonable, however, to expect that my blog can inspire others to make SOMETHING and remind them that is is POSSIBLE to make something. I’ve told you before that I want to recruit everyone into the brethren of paper crafting , and this quote will go a long way toward reminding me how that can be achieved! No one ever said hustlin’ was easy, but bloggers hustle harder. It’s a scientifically proven fact. Amy Anderson of Parker Etc. (which btw, is a blog you should definitely go read) offered some pretty awesome advice for making the most of your blog content. By coordinating these three elements, you can get the most out of your posts and reach as many people as possible. Since I love examples, howsabout we go back to the HP scenario. Let’s say HP is going to sponsor a post….YAY! For the post, I’ll be working with one of their printers. It would behoove me to take a gander at my blog calendar and see how I can best schedule that post to work with other content on my blog. Maybe the day before my HP post, I’ll share a post on how I organize my office. This will create some continuity for the readers and keep people engaged. As for amplification, this just refers to how to spread the word. 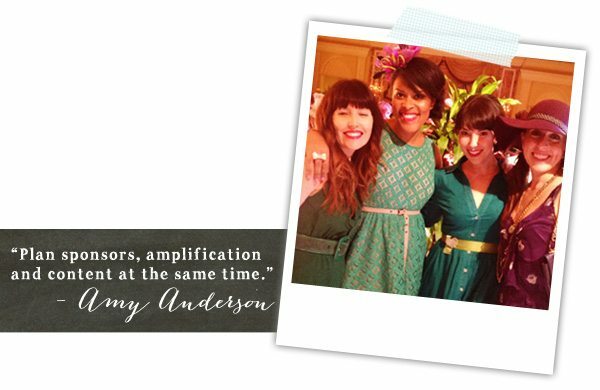 Amy suggests thinking about how you might use social media to reach as many people as possible with your posts. In this case, I might use Facebook to do a giveaway related to HP. This approach certainly requires a fair amount of organization and planning but it can be worth it in the end. After all, if you’re going to put tons of work into your blog content, dont you want it to reach as many people as possible?! Interesting post. Can’t imagine you EVER crying in your cornflakes. I love your designs. Loved ’em way before you went all “big business” although I just recently became a follower. I hope they will continue to be the main focus of your blog. Maria – I am so glad you mentioned “patience!” They say patience is a virtue, right? Well I think they skipped over me when handing out that virtue!! I’m also glad that you mentioned the risk of spending too much time on product placement. That is definitely not the goal! Product reviews and such can definitely be useful, but like you, I would be completely annoyed if that became the “theme” of this blog. As a blogger, it would be 100% disingenuous for me to constantly promote product on this site. That is not why I do this and that is definitely not why you come here. I think product reviews can be helpful in some regard but it can’t take over. I’m glad you shared your “ramblings!” I’m excited to have this dialogue with people who read this blog! There is nothing I admire more than someone who knows what she wants and goes out to get it. Best of luck. There is no doubt in my mind that you will succeed. A couple of reactions to your post — what does “having a brand” mean? Is it to make $$ on the blog having having the industry know who you are and pay you to promote their products? Is it selling your own things? I’m not quite sure what you mean. Second, compensated posts raise concerns for me. No matter how many times a blogger says “I’d use this even if I weren’t getting paid for it” I don’t 100% swallow that. I’ve seen too many bloggers sing a products praises and then drop it like a hot potato when they are no longer affiliated with the company. It is human nature to say only the positive about products that you are paid to endorse. So, I’m wondering how you can deal with skeptics like me on that part….Yes, I assume you wouldn’t endorse a product that you truly did not support, but most products have a downside that doesn’t get mentioned when the blogger is getting paid. How will you handle that? First about “branding.” I’m glad you brought this up, because I imagine it’s a question on the mind of many people. Branding was totally foreign to me until a few months ago, when I started doing research on the topic. My personal definition of branding may differ from others, but I think that’s ok. For me, being a brand is more conceptual than concrete. Being a “brand” means that my readers know what to expect from me. They know what I represent and they know that they can count on my for a certain type of “product.” My goal is to present a consistent brand. Specifically, with Damask Love, my “brand” is one that represents creative inspiration and instruction presented in a clean & fun way. Simply put, my brand is about making stuff with your hands and the doability of that. I’m not a lifestyle blogger and I don’t post about fashion. Readers would just be confused if they came to Damask Love and saw a post about the outfit I wore out to dinner last night. I want to draw people into the the possibility of being creative and tapping their creative side. My writing style is also part of my brand. I write the way I talk. Sometimes I’m funny, sometimes I’m sentimental, sometimes I’m snarky…those are all true to my own personality and therefore represent my brand. For me, “branding” does not necessarily have anything to do with selling product or promoting product. It’s about being a consistent representation of what I love to do and hoping that my readers join the bandwagon! Ok – now for your question abou product endorsement! MAN! I am so happy you asked this…seriously. I am right there with you about being skeptical when blogger say that they 100% endorse a product…and I think we SHOULD be skeptical about that. Unless I find a product that dispenses diamonds and spews out hundred dollar bills, you won’t hear me say that I 100% endorse it. First, I would be completely undermining the intelligence of my readers! Y’all are smart. Y’all know that every product has it’s good and bad sides. When it comes to products, my goal is to share products that I really like and explain what I love and don’t love about them. If a company approaches me to review a product, there are three things that are going to happen: First, I have to decide if it’s something that is in line with my brand. There would be no reason for me to feature product from SubZero, for example, because my blog and by brand have nothing to do with home furnishings or refrigerator…even if they are paying out a lot of dollars for that feature. Secondly, I need to be honest about my experience. Third, I need so be sure that there is a reasonable distribution of sponsorship across my blog posts, which probably equates to no more than 1-2 sponsored posts per week. When it comes to featuring product, I have no intentions of inundating you with “ads” because that would totally compromise the quality of blog content that I am able to provide. I also have no intention of being anything short of transparent. If I review a product that is difficult to use in some way, I’ll tell you! That’s just how I do things. I hope this answered your questions!! Brevity has never been my strong suit, so I hope I didnt ramble for too long!!! LOL! Let me know if you have any other questions – I love having this dialogue! Like Joan, I’m interested to understand what having a brand and growing your blog means to you. Are you planning on “selling” things through your blog and creating your own product line or is the business of blogging a business in it’s own way? Hey there Craftilicious! (can I call you that? cuz I think it’s fun!) Check out the response below to see how I answered Joan’s question about branding. I’m glad y’all are curious about that. As for your question about selling products or creating a product line – those are goals that are waaaaaaay down the line and may not actually ever happen. I would love to see my blog grow in to “offline” opportunities. This might include things like a line of products, a book or a regular column in a magazine. These are all goals that will take lots of time to develop, but are certainly on my bucket list. Let me know if you have any other questions! I’m here to answer them! Amber, I just want to congratulate you on where you’ve taken your blog over the past few months. I have seen many “admirers” now trying to mimic what you’ve already accomplished. You are an official trendsetter! I think what you are doing is working and I admire your time and energy for being able to do it. Way to have a goal and knock it out of the park! Jaclyn! Thank you so much for that comment. This is a labor of love for sure and I am enjoying the challenge of growing my blog. I’m not gonna lie – the process can be very nerve-wracking since I’m not always sure how readers will react. I can only be 100% transparent and forthright about my goals. I think people are more like to respond positively when they know what you’re trying to achieve. Thanks for giving me this virtual high-five! It goes a long way to making me feel good about the work I’m doing! Amber-I love how you encapsulated and translated everything you learned at the Alt Summit. They are great messages and your blog truly shows how you have taken them in and are already giving back. It entices me to come and read more from your very authentic voice. You have become a real inspiration to me. Thank you thank you thank you for the post above and your genius coverage of the event! I am so PROUD of you!!! I knew you had the fever when I saw those gorgeous wedding photos—I JUST LOVE your brand and I’ll buy your goods to decorate my home with, but first I’ll take your advice and collaborate with you to use your product on my blog! Hee hee her! One question for you—-So, I don’t have the daily traffic or page views that you have on your blog. And, I know that you stress patience in growing readership. However, I would like to implement a series that I created (in my mind), but would like to reach out to craft companies (not uber large) ones to provide product for the projects. Without huge blog stats (my page and Pinterest have the largest audience), how do you suggest I write my pitch? I took a poll of my blog, and my readers have told me what they’re interested in, so I know this idea could totally take root. Suggestions? Hey girl! The Reject Blog Hop was fun, wasn’t it!? I’ve actually passed the torch on to Annette Witherspoon who has renamed it “The Contenders!” Check out her blog and you can be part. The Reject Blog Hop lives on!! Now, to your question about reaching out to brands/companies. Pageviews aren’t everything. Your blog may not receive a ton of pageviews each month, but you likely have other noteworthy stats that can illustrate the value of your blog and your audience. For example, Damask Love does not have huge pageviews, but I do have a great relationship with the readers. I’m able to have conversations with them and they are engaged with the content on the blog. This may also be the case for you. Provide information that shows the meaningful connection that you have with your readers. Companies don’t always care about blog numbers. They want to know that you have an authentic voice that can reach your audience. Thank you so much for the tips! I can’t wait to try them! You know what Amber… I would LOVE it if you got to write your own card book one day. I have bought so many of these ‘making cards’ and ‘rubber stamping’ themed books and they are not nearly as good as the content I can read on your blog … but I like books because I can look at the pictures while I lie in bed and night and then I can dream about them! So here’s to you and your future book! Umm…can I give you a hug please! This comment is everything to me! I may have to send your comment straight over the Chronicle Books and say “SEEEE!!! Jocelyn would TOTALLY buy my book!! !” LOL! 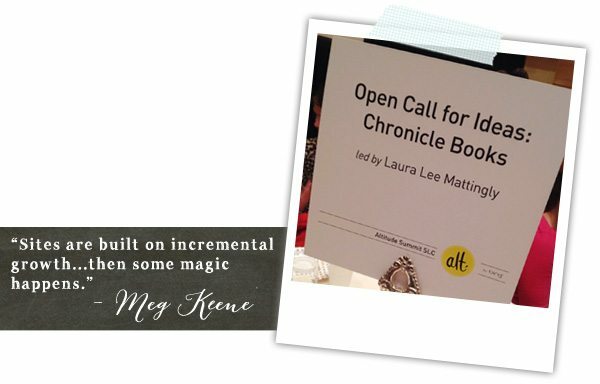 I would so buy your card making book too, so shall we start a signup sheet to send off to Chronicle Books? I follow over 250 blogs but yours is one of only a handfull that I actively “read” and your design, style and voice (I guess your brand now I understand it so thanks for the reply) are the reasons for that. This was such an interesting post! I don’t have a blog, but I ALWAYS enjoy reading your posts and of course seeing your amazing creations! I started following your blog when you posted your desire to help the children and families affected by the Newtown tragedy. Right then, I knew that you are not only talented, but that you have a HUGE gift: Really, really caring for others! I love your style, your philosophy and your genuine character, and I would absolutely, positively buy your book, Amber! 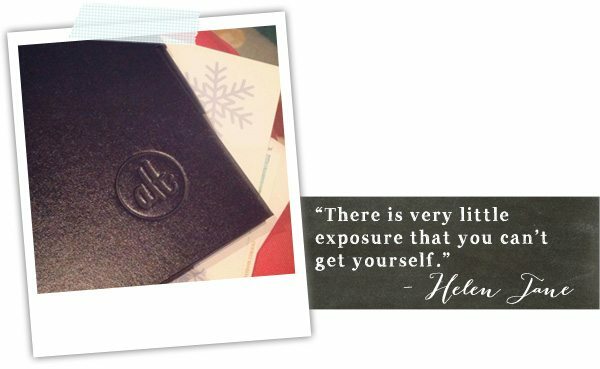 Thank you so much for sharing your experience with ALT…this was a fun post! Barb! Thanks for this comment and for saying such sweet things about me, and for being a part of this convo! Based on comments in this post, it sounds like I could definitely sell 4 or 5 books!!! LOL! We all gotta start somewhere! It’s so great to hear that you can take some of these tips and put them it into action on your own blogs…that was my hope when I posted this! Its definitely important to remember that our blogs won’t get huge over night…or even in a month or two months. It happens slowly and we gotta be patient! I’m not so great at the patient part! LOL! wow! I can not say thank you enough for this blog post! 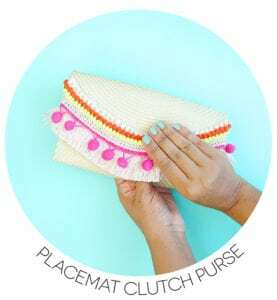 I always love getting your posts in my email, because your style is so inspiring, but I also find that I learn a lot too, and todays post has got to be one of my favorite! I have read every single word of it, and wish there was more! Lately I have wanted more for myself and my blog and this post has really loaded me with information and questions in which I want to go out and find more information on. Thank you so much for giving us a peek into what you have learned and for continuing to improve and teach the crafting community as well as bloggers everywhere! YOU ROCK!!! Your reaction to this post is exactly what I was hoping for from some of the readers. I’m sure there are some who don’t love this sort of content, but the fact that it was meaningful for you makes it totally worth it for me to post! I felt really inspired after ALT and wanted to share the inspiration! Glad that I was able to share it with you! Thank you for sharing all this amazing information! I truly love your blog and was a simple blog stalker (hee hee) and then saw your blog revamp and just fell in love with everything you’ve been doing and done and now I’m a “regular”- no longer in hiding! Keep up the amazing work and thanks again! Love this! Let’s start a revolutions! A readers-come-out-of-hiding revolution! I’m so happy that you left a comment here – the more the merrier! thanks for the response. tell your potential publishers that I’ll buy your book and buy one to give away. I read a lot of blogs but yours is one of the few that has awesome DIY content and talks to me in a way that makes me smile. Thanks for the recap – it was still an interesting read for me, though I mostly use my blog for personal stories and crafts. Yeah – I don’t think this info is for everyone but I’m glad you found it a little interesting. Blogs definitely exist for all sorts of reasons and doing it to catalog your own personal stories is a great way to share your passion for creativity. 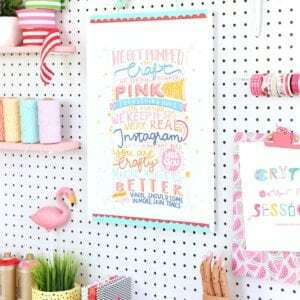 I just went to your blog and I love that you do scrapbooking and cards. That is a skill I have not figured out! Thanks for commenting on this convo, Shirley! Have a great night! Amber, I’m the first to admit that you inspire me tremendously, and I’m learning through you all the time. You’re a wealth of information, heaps of fun and you manage it all with a wit and personal approach worth the praise. As much as I’m not nearly as business-minded as you are (as I’m sure majority of your readers aren’t! ), this post has answered some of the nagging questions I had. Since it’s not possible that I attended any such event, this handy-dandy recap is something I truly appreciate! I’m having plans for my hobby (and so my blog, being the primary tool of communication with the world) to evolve into a business this year, and I’m well aware of the fact that I’m a long way and lots of hard work ahead of me, to shape those dreams into reality. In the meantime, I’m taking every opportunity to learn from what I’m seeing on the successful blogs in the industry. I must shamefully admit that I’m on a huge “Amber” kick right now but I assure you that I’m doing my best to find the perfect style that allows me to be true to myself and makes my blog MINE. Great thoughts! I agree that most of the Damask Love readers probably don’t have the same business approach! I’m happy to see that this post has been helpful to a few people, though. I love your thoughts about finding your own style. There are definitely times when I have to avoid a lot of blog reading just to be sure thatI am staying true to my own style rather than being overly influenced by everything that is out there. It’s a tough balance, but I think you do it well. I think you definitely have a distinct look that draws readers in! Amber, you are just gorgeous!! It was such a pleasure to meet you at Alt. 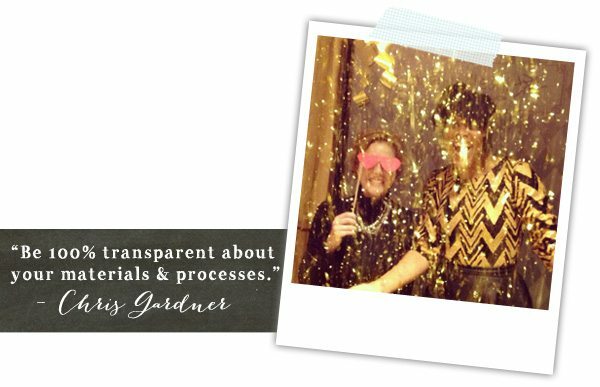 Great recap, and can’t wait to see what amazing things you accomplish in the coming year! Melissa! I love, love, loved meeting you! You were one of the few people who’s work I was familiar with prior to attending ALT, so it was great putting a face to a blog! Can’t wait to work with you in the future! I know that big things are going to happen for you…I don’t care what your fortune cookie said! Thanks, Rebecca! I can’t wait to see what the coming years have in store for Damask Love! Amber, thanks for sharing this information on your blog. so much to take in, and great comments/replies. I have been wanting to start a blog for a long time, but something always holds me back. I will be reading your post and comments again. Lots to take in. I need to determine how “far” I want to take the blog as well. Thanks again!!! Susan – I am glad you found this useful. No matter your decision with a blog, I think these pieces of advice can be helpful for all of us who decide to put our creativity in a public forum. If you ever need other advice or input, please feel free to contact me! I’m happy to share whatever I can to help. Amazing recap! I really enjoyed getting to read the highlights from the other panels of the conference I didn’t get to see. It all goes by so fast that it’s hard to do everything! 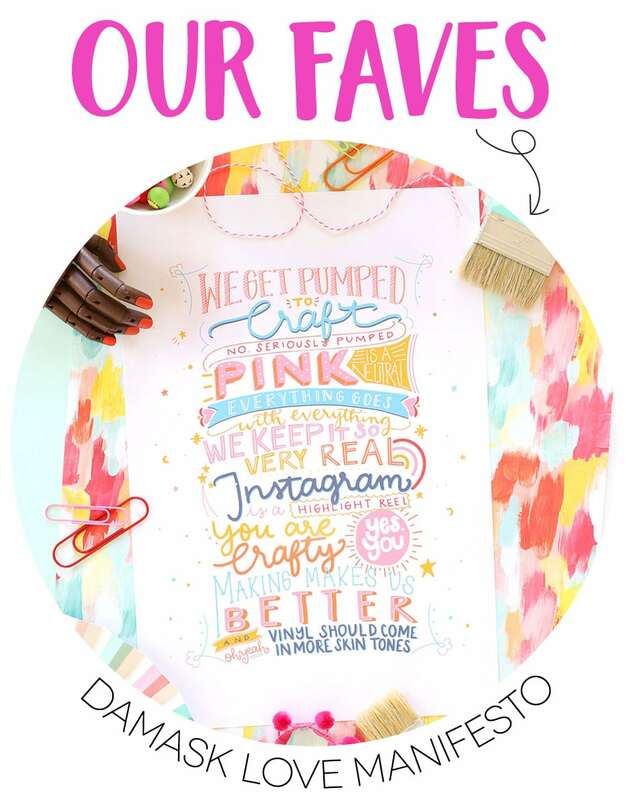 I’m a fan of your style and blog and look forward to keeping up with you! Amy! Your panel was fantastic and I’m happy to have your “stamp of approval” on this recap! Here’s hoping we can connect at the next ALT Summit! Hello Amber, I am a new reader and wandered over from Twitter for the ALT recap. I really like your Chris Gardner quote, “The point of a DIY post is not to show your readers how to do something, it’s to show your readers that it’s possible to do something.” I think this can apply to all types of posts, too, not just DIY. Inspiration is a powerful thing. Thanks for sharing your knowledge from ALT. You’ve given me some good ideas for my blog. P.S. I love your post lay out. It’s pretty AND readable. Beautiful design! Don’t you just love that C. Gardner quote? It was one of my top faves from the whole conference! Inspiration certainly is a powerful thing and I have to constantly remind myself of that as I post things to the blog! The idea that my passion for creativity could inspire the same in someone else is all I can ask for! Also – thanks so much for commenting on the layout of the post. I spent a good bit of time designing it so it’s nice to hear that the effort didn’t go unnoticed! Thanks for that!! Hey, love the energy. Love how I met you at Alt before reading your blog and the two match like crazy! You are so “you”. Sandra!! Thank you so much for coming by Damask Love! Whenever someone tells me that my personality comes through my blog, I feel a huge rush of success wash over me! I always worry that I am not being my authentic self on the blog so your comment means a LOT to me! Thank you. Hey, you’re a child psychologist! I’m a lapsed family therapist for families with 6-18 year old kids. Coolio. If HP doesnt send you a desktop or printer by next week, let me know. I am thinking you are pretty genius for weaving them in to your story like this, love your recaps and your attitude. You lit up the room every time I saw you. You are going places lady, that magic will not be itty bitty for long! GIRL! Let me tell you right now…if HP happens to send me a printer or desktop, you will CERTAINLY know! I will be all up in this blog showing everyone photos of me spending hours making paintings on that awesome touchscreen. Funny thing is though…when I wrote the post, I just wanted to pick a brand that would make sense to all my readers. Not everyone knows about Passionfruit or Land of Nod, but EVERYONE knows HP! I’ll keep you updated on how the whole HP thing pans out. Also – thank you for your well wishes…here’s hoping the itty bitty magic grows over time! Hi Amber!! I am a follower of your blog almost since you started it. You have a special energy around you that makes it impossible to just look without reading your post and connect with you. I love your new design, I have been wanting to redesign mine for a while. Loved this post! I come from a different angle. I was a freelance web designer for years as well as part owner of an online web design forum and magazine (blog). We had a fairly large following but I’ll tell ya it was sooooo much hard work! I take my hat off to all bloggers. What you are doing is impressive. I think your brand is YOU! YOU show through in every post from your writing, your style, your graphics. I also feel the one thing that sets you apart from just about all other paper crafting blogs is that you actually RESPOND to comments. Responding to readers is something done well in the web design world but sadly lacking in the paper crafting world. I realize many bloggers and crafters are working full time, have families and running around with their hair on fire. But to me, it’s what sets apart an ok blog from a great blog. Good luck and I’ll be reading!! LINDA” if ever there was a blog comment to reply to, this one is it! Thank you for your supportive comments. When it comes to responding to blog comments, I must be honest …this is so,etching that I only recently added to my responsibilities. I realized how silly it was for me to expect comments from people when I wasn’t participating in the dialogue. People have no interest in commenting into the air!! I certainly can’t comment own everything but I can definitely make time to comment back when someone says something particularly funny, witty, helpful or if they ask a question! The whole point of blogging is to build a community of like minded readers! That’s for taking the time to comment on this post. Your thoughts were really validating and made me smile! So I just launched a blog with some friends, and I have been reading all of the recaps from alt summit, and I have to tell you… I am WAY overwhelmed! I feel like a teeny tiny drop in the ocean! Did you ever feel like that? When did you start getting sponsors and more notoriety? I guess I am looking for some sort of time line, but that is going to be different for everyone right? I’ve told myself to give it a year, but I just had NO IDEA how many successful blogs there are out there… This is B-A-N-A-N-A-S! Also, I just have to tell you that your post is the first ALT recap I have commented on… I love the layout of your post with all the quotes in different fonts. It really stands out, and way to comment on your comments. I was doing that on my blog and my husband told me I was being a helicopter. Because of you, I’m deciding that it is helicool! Amber! Thank you so much. I basically want this to be fun for me, and my biggest goal is to create original content. I think when I start looking around at all these other great blogs is when I start to doubt and feel overwhelmed. You have eased my late night worries. My mantra will be, if I have good content, everything else will fall into place. Thanks again for your words of support, and I LOVE that you are honest. That is me too. Have a happy day, and I have to tell you that you are my first “blog friend.” So cool! As someone who wasn’t able to attend Alt this year, I got a lot of help from your post. Thanks for that!